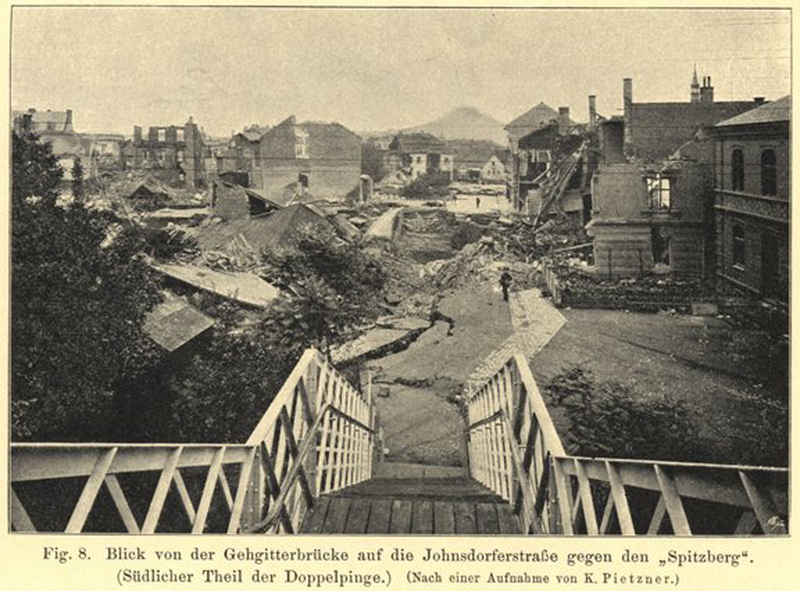 My great-great-grandfather, Franz Richter, came to Brüx after about 50 years. His wife had died in 1881. He had only his son Johann [Baptist], born in 1873, with him. 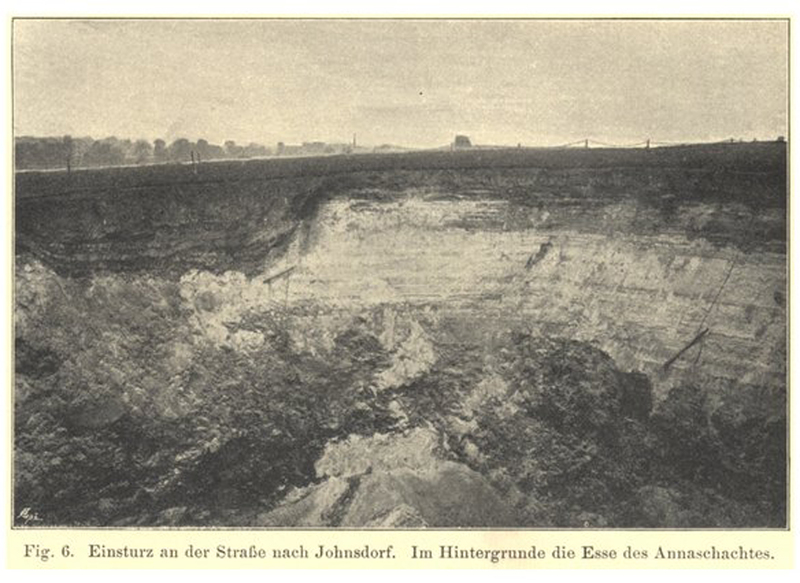 In 1895, on the 19th to the 20th of July (from 9:15 pm to 6:00 pm), the swimming disaster in the Anna Bay occurred in Brüx. Both of them experienced this at first sight. Possibly also my great-grandmother Maria Albine Sopper at that time already in Brüx lived and experienced the whole. 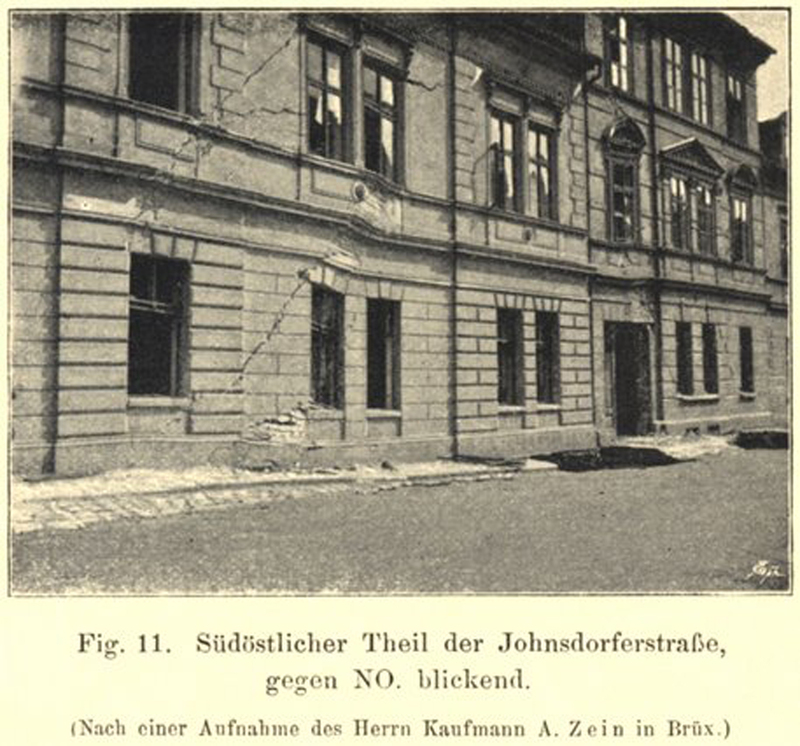 In 1897 she married my great-grandfather Johann Richter. The smell of fire is blowing when you approach the city from the station. It is barely ten steps away, and you are already in the middle of desolation. To the right of the driveway in front of the train station, the Bahnhofstraße enters. So here was the wealthy world of Brux at home? Ruins to the right, ruins to the left, heaps of bricks and beams that stand out from the ground instead of a palace - that's all. The road is locked, and stern veterans with a bayonet rest on an old rifle. Watch that none of the uncreated foot enters this place. In the interests of public safety! There is danger of danger of collapse, men think, but the fear of thieves which causes them to be so strictly guarded. Where the houses of the poor are standing, we can pass, and an urban telephone worker volunteers as a guide. He shows us the gas lane first. It runs parallel with the railway body and the Bahnhofstraße. She is terribly dressed. Just to the left is the house of the blacksmith seal. 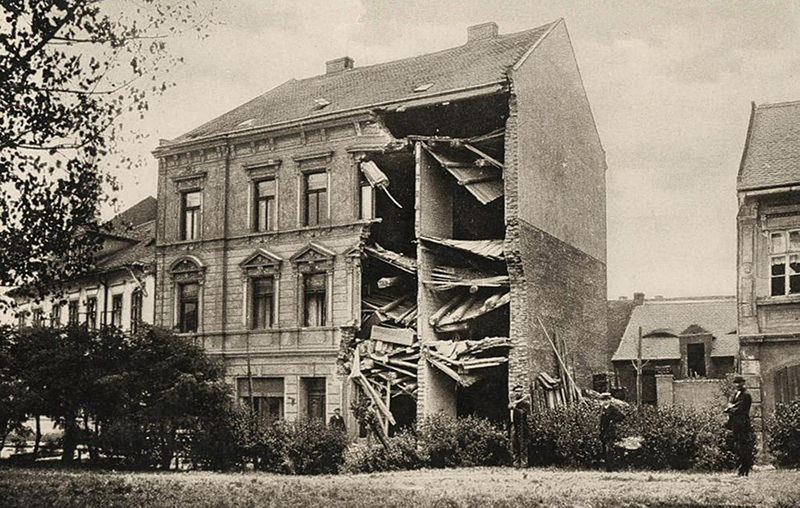 The facade has fallen into a deep crevice in the front, the entire house moved from left to right. The proletarian apartments are laid out in the two storeys. A bed, a red-blown tablecloth on the wooden table, a black sofa, boxes, in short everything else in a proletarian apartment. 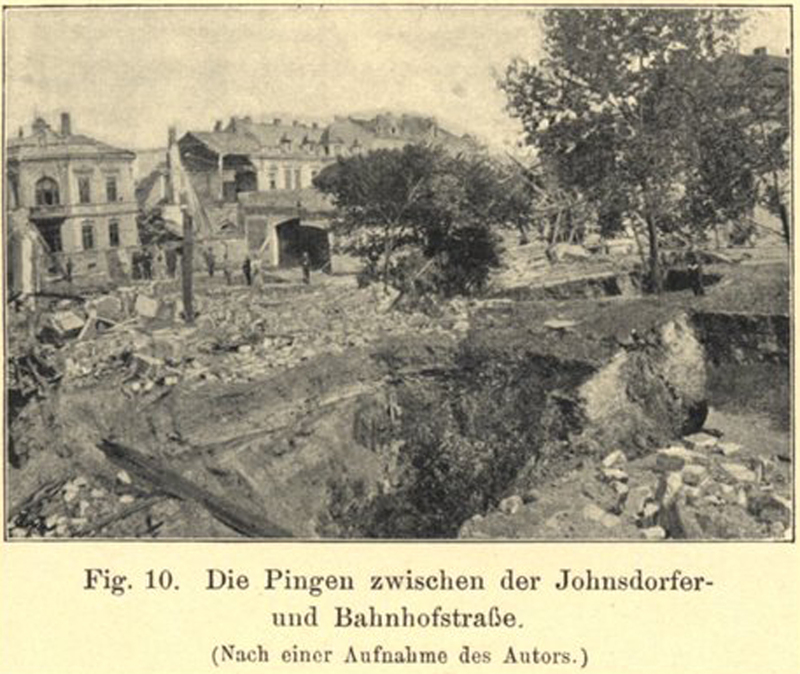 As the people had just turned around on Friday evening, Across the street opposite Johnsdorferstrasse, there is a deep hole in the ground and next to it a collapsed house, which has completely disintegrated. Next to one another and opposite one at the corner of the Bahnhofstraße and the Gasgasse the house of the Dr. Richter from Prague, a magnificent one-storey building. It sank on the evening of the Friday before the eyes of the horrified spectators. A roof-top, as a floor-hatch, rests undisturbed on the heap of ruins. A fauteuil, covered with green plush, ten feet down, as a witness that comfort and elegance prevailed in this house. Our guide witnessed the collapse. On the first news that here and there there were tears, the firefighters and policemen hurried into the endangered houses to warn the sleeping inhabitants. But the misfortune came sooner than the warning. The people rushed out of the houses, dressed only negligently. 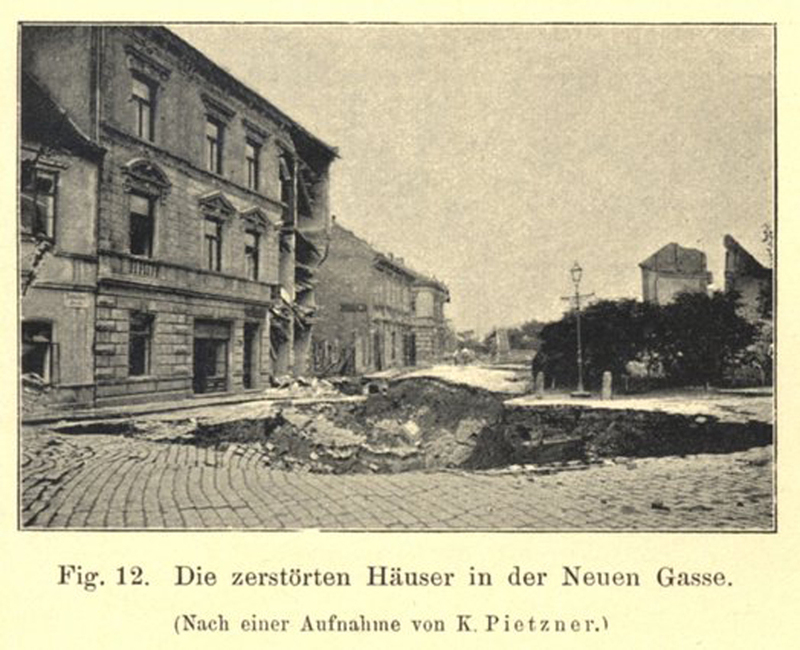 In front of Richter's house there was a large crowd of people, who generally expected the collapse of the house of Bergfuhrer Fitz in the Bahnhofstraße some thirty yards away. The posterior tract of this house had already descended before. Suddenly a cracking and swooning sounded the air, the crowd retreated, and in the next moment a thick dust cloud shot up. 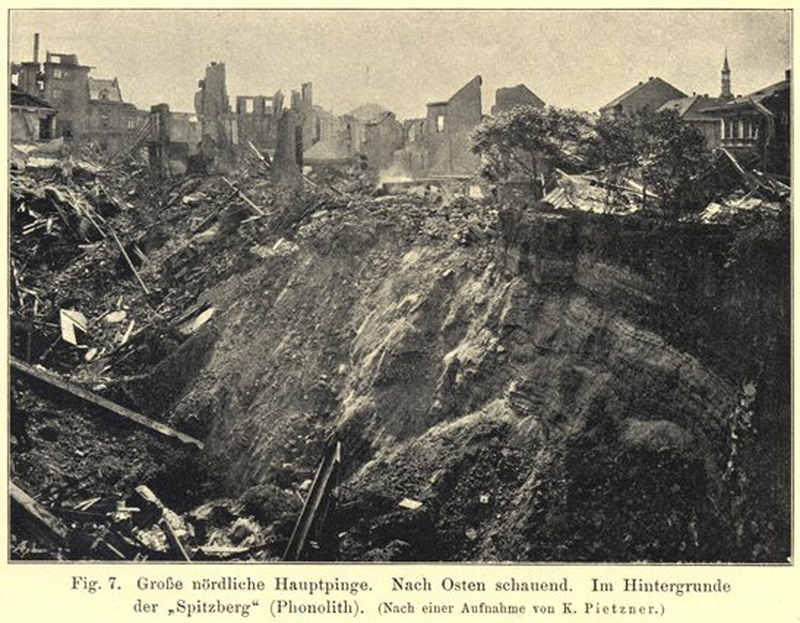 As the dust evaporated, the Richter corner house, which had been faultless at the time, had disappeared from the ground. The people saw this destruction work a minute. Now they remembered having seen a woman with a child on the arm just before the window on the first floor, another wanted to see a firefighter on the roof, now there was no trace of the three people! But these were only imagination-formations! There is no one from the house judge and from the fire brigade fire brigade. In the night of terror there were, of course, many missing people. Everyone, thinking of their own life, rushed out of the catastrophe to the fields, to the squares of the city. But the next morning most of them found themselves. Only a matron and a maid are still abolished. The body of an apprentice was buried yesterday morning, horribly mutilated, and quite flattened out of the rubble. He lived with the parents of his master, the locksmith Doleschal, with another seven persons, an apartment consisting of a room and a kitchen, next to the house of the director Fitz. The poor boy was exhausted and already in a dormant sleep, when the police alarmed the inhabitants. The seven other inmates had just left the house when it broke down, burying the dying boy in the rubble.